This spring Reliable Property Management Services is proud to sponsor a girls softball team through San Dieguito Youth Softball, as well as a boys baseball team through Encinitas National Little League. RPMS is excited to support these programs that benefit the local community. San Dieguito Youth Softball (www.sdyssoftball.com) will host 210 players this season in a program dedicated to providing the highest quality youth softball experience. Sponsorship by local businesses is a critical element of the program, helping to defray operation costs that include new equipment, safety gear, uniforms, umpire fees, awards, field repair and field upgrades. Encinitas National Little League (www.enll.org) is home to 470 baseball players this spring. In addition to helping players learn and develop baseball skills, the program emphasizes the importance of building character, courage, and staying active. The funds provided by sponsors like RPMS are important for helping to cover approximately $110,000 per season in operation costs. Every Saturday, hundreds of parents, grandparents, and community members gather to cheer on softball and baseball players through SDYS and ENLL. Sponsorship contributions help both programs in the goal to provide a high caliber experience for both players and fans. RPMS is proud to support each of these outstanding sports organizations. 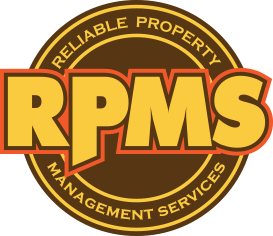 RPMS is a privately owned boutique management firm serving the greater San Diego area. Specializing in community administration and fiscal management, RPMS is committed to providing every client with the highest level of customer service through prompt, consistent communication and transparency in all management practices. For more information, visit http://rpmsca.com/.